While there is a clear desire to innovate, IDC claims that 80% of annual IT budgets are consumed by maintaining existing infrastructure and services. The main culprit? Data center silos that present barriers to change and progress, adding complexity to every step from ordering to deployment to management. You’ll learn how hyperconverged infrastructure addresses 8 of the most common data center challenges in this e-book. 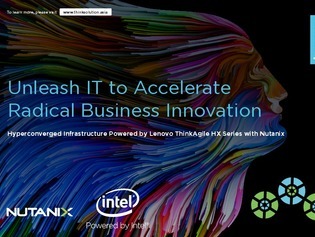 View it here for more on how HCI can help close the innovation gap and enable business growth.